Apart from emissions inspection being a noble practice, itis also a requirement by policy in most states. In the state of California, allvehicles except motorcycles are required to undergo an emissions inspection. Whether you are a Californian resident looking to registeryour car or looking to renew car registration, an out-of-state resident relocatingto California with your vehicle, or simply want to sell your vehicle (4 yearsand older) in California, an emissions test is necessary. In case your vehicle fails an emissions test, it will needrepair. Before contacting any other repair shop apart from your vehicledealership, certify if your vehicle could still be covered by a manufacturer’semissions control warranty. In the event that it’s still covered, contact yourdealership. If not, find an outlet with a verified track record for these kindsof repairs. Do they possess the required diagnostic implements to detectemissions-related problems? Ask to see the required certification such as ASEcertification in A6, L1 and A8. Do they possess a 5-gas analyzer (for automobiles manufacturedin 1995 or before) to quantify emissions? Is there a possibility that they possess an OBD standardscan tool (these are for automobiles manufactured in 1996 and beyond) to readand analyze DTCs? They will also need to have an analyzer monitoring the vehicle’signition and general engine performance? Whenever the “check engine” light goes on, it means that avehicle will not pass an emissions test. The best cause of action in such aninstance would be to get your vehicle checked. It also worth noting that whenthe light goes on, the problem could either be a minor or major one. An exampleof a minor issue could be a loose fuel cap while a larger one could be a majoremissions control component failure. 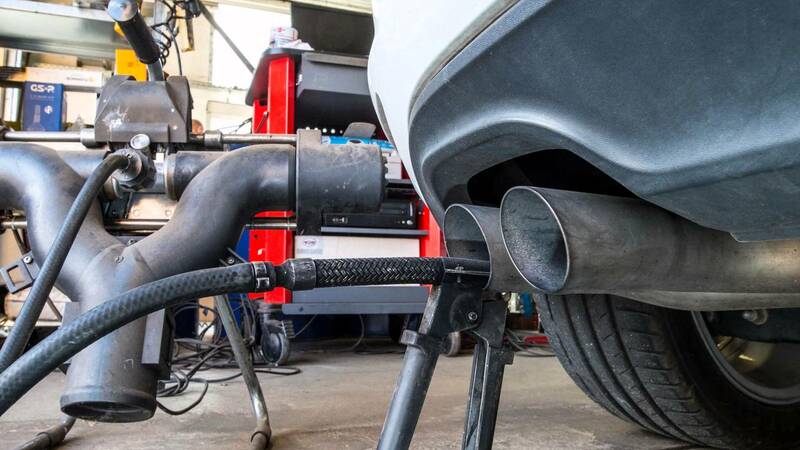 West Coast Auto has the most advanced equipment to conduct emissionsinspections, and our team of mechanics can also effectively diagnose carproblems in the case of emissions inspection failure, ensuring efficient carrepair to help you pass the emissions inspection. Contact us to schedule anemissions inspection now!